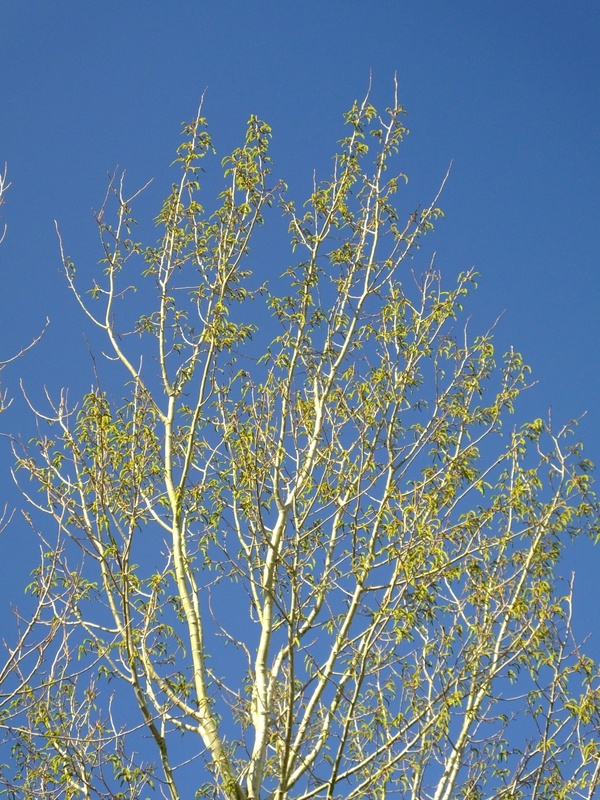 It is not since 2010 that breeding Aspen has been seen locally – SEE HERE. 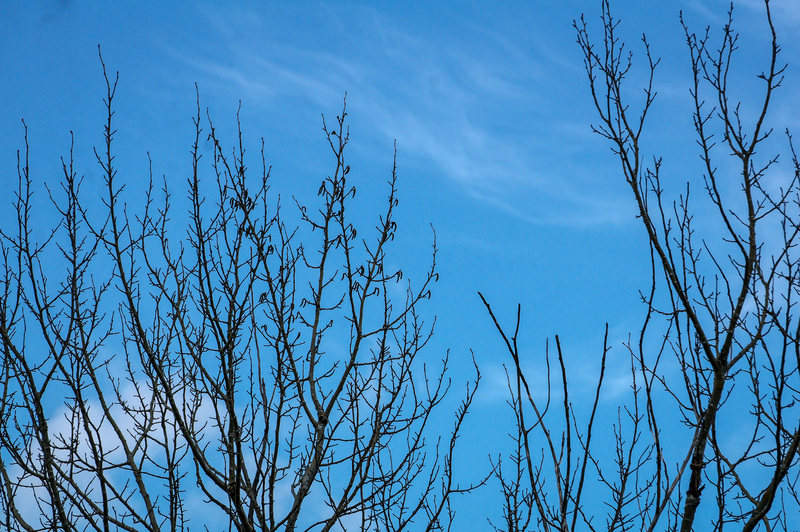 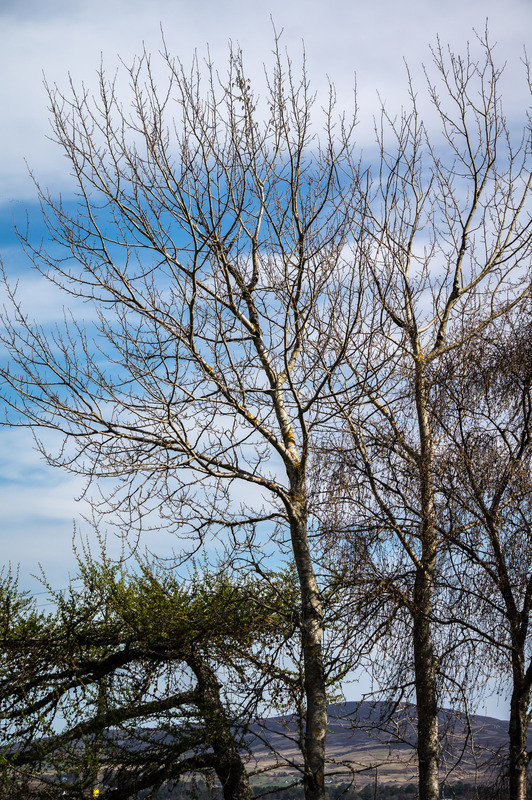 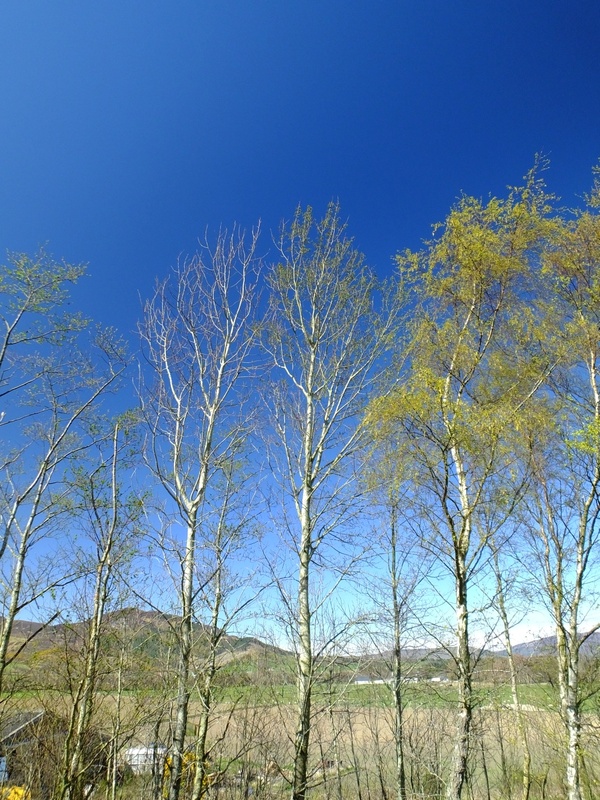 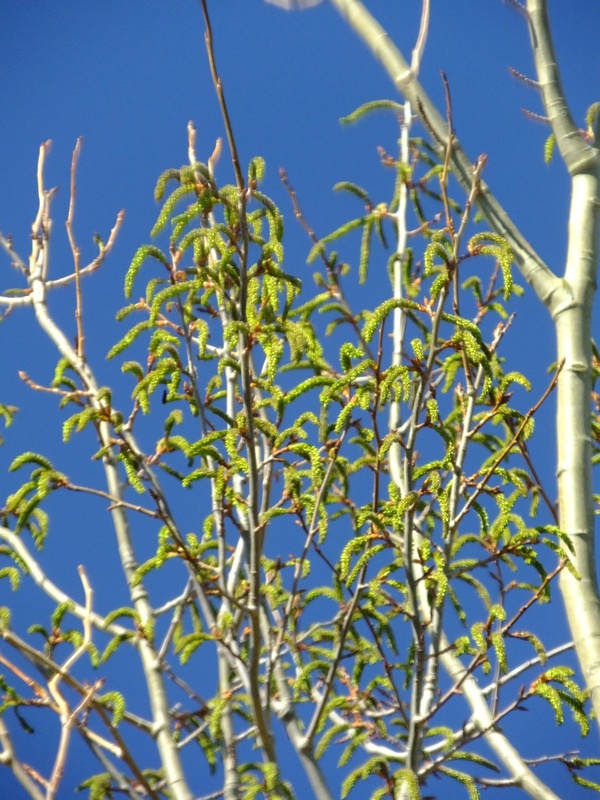 On April 14, 2014 a single Aspen was seen near Ardgay with a good display of male catkins. 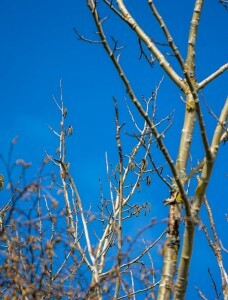 There are many Aspen stems in the area but none other than this one show any sign of catkin flowers. 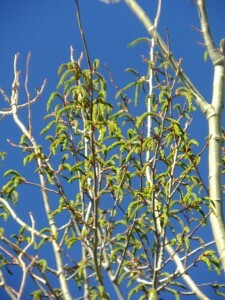 It may be time to start noting whether any other Aspen will flower this year. 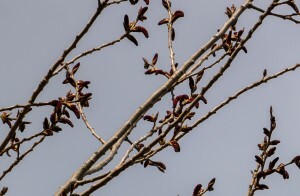 April 19; about 200m away from the Aspen stem above another showed signs of catkins (photo below). 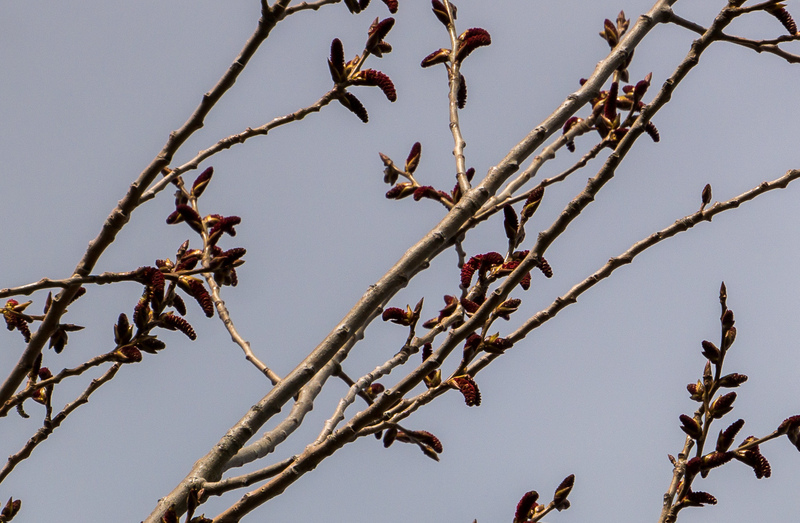 These are female flowers and are so far restricted to only a few upper branches. 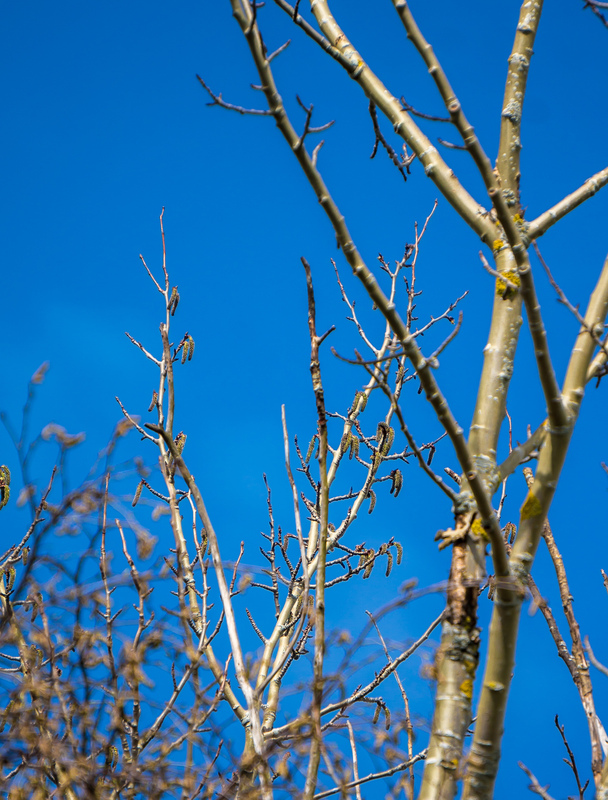 Contact us if you see any flowering Aspen; take photos and note the date and location/grid reference.